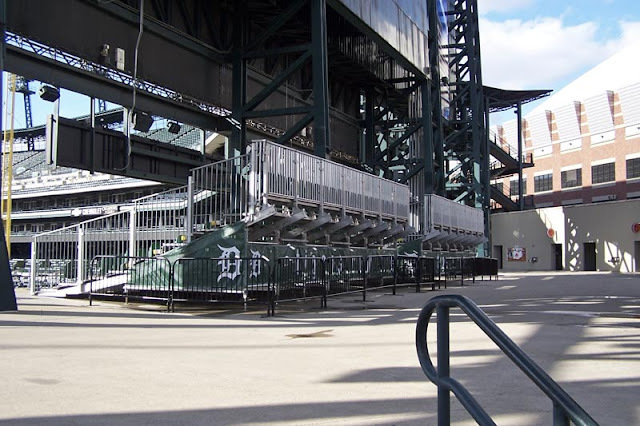 Here's a glimpse at the new temporary bleachers at Comerica Park. In all, around 750 seat were added to the stadium for this season. The 300 unit Jefferies Housing Projects at MLK and the Lodge are coming down. When the demolition work is complete the site will be redeveloped into homes and townhouses as public and affordable housing. 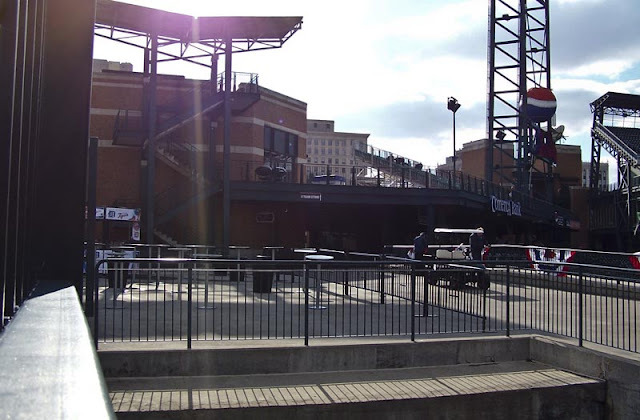 It looks like this site can be taken out of consideration for a new Red Wings Arena. Heidelberg Taxi Cab Company, originally uploaded by A Dubs.